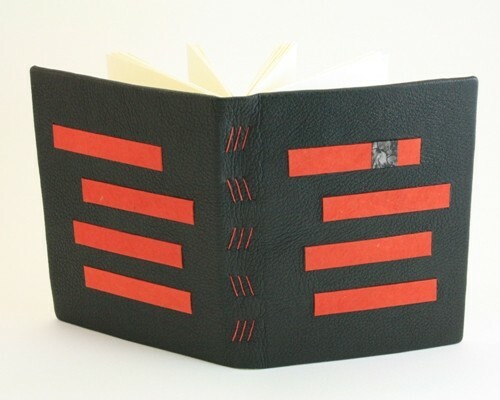 This book was made as a commission for a paste paper maker. The piece of black paste paper on the front (top red stripe) is also used for teh paste downs, the red horizontal bars are inset cardboard pieces, covered with this bright Lokta paper. The binding is a hardcover with flexible spine.